Regular Business Office/Fiscal Services hours of operation are from 8 a.m. to 4:30 p.m. Monday through Friday. 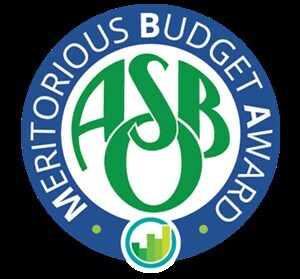 Lucia Mar has been awarded the Meritorious Budget Award (MBA) during the 2018–2019 budget year from the Association of School Business Officials International (ASBO). This is the fifth year in a row that we have won the award. The award promotes and recognizes excellence in school budget presentation and is conferred only to school districts whose budgets have undergone a rigorous review by professional auditors and have met or exceeded the program’s stringent criteria.